On a lovely evening for hurling both teams served up a very entertaining minor league final full of passion and commitment that saw the underdogs Aodh Ruadh claim the title. Before the game there was a minute silence for Eithne Gallagher, wife of Aodh Ruadh President Jim 'The Natch' Gallagher who died in a traffic accident the previous day. Setanta were quicker to get into their stride and raced into a five point lead. Indeed it could have been more only for a great save by Aodh Ruadh keeper Donie O'Keefe. But credit to Aodh Ruadh they never dropped their heads and gradually they played themselves into the game. A few long range frees from Eddie Lynch kept the Ernesiders in touch and a great goal before half time by Jamie Brennan left the bare minium between the teams at the break, Setanta 0-8 Aodh Ruadh 1-4. The second half was a very tight affair as the phyisically stronger Killygordon men looked like they were going to hold on for victory, but a couple of quick fire goals by Jamie Brennan and Colm Kelly set Aodh Ruadh on the road to victory. The men from the Cross ensured a nervous last few minutes when they grabbed a goal, but some heroic defending by Aodh Ruadh ensured they ran out winners. 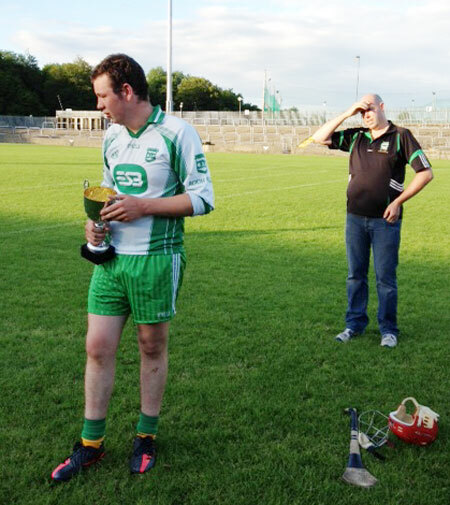 It was a delighted captain Conor McNeely who accepted the cup on behalf of the team. This is Aodh Ruadh's first minor title since 2007, it was a great all round team performance from this young team and all 16 played their part in a great display of passion and commitment. 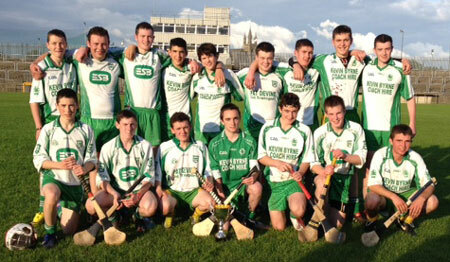 The minors now look forward to the championship which starts on the 8th July with a trip to play Saint Eunans. This is a another indication of the the tremendous amount of hard work being put in at all age groups in hurling in Aodh Ruadh over the last number of years. Well done to the panel, mangement and supporters who as a mark of respect to the Gallagher family decided not to engage in any celebrations on their return to Ballyshannon.